I want to thank you for reading my blog and I hope you love glasses and eyewear as much as I do! To help me with my cause to bring glasses firmly onto the fashion radar please show your support and choose an option below! 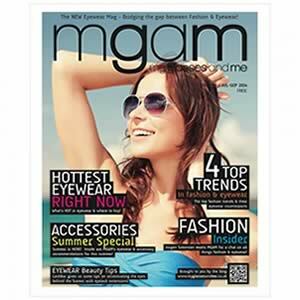 You can then view Issue 6 of the MGAM Magazine! Firstly, thanks for the social support! You have done your bit to help spread the word and bridge the gap between fashion and eyewear! Here is Issue 6 of the MGAM Magazine! I hope you enjoy it! Don’t forget you can still get a physical copy free (only p&p payable) here!